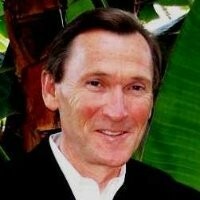 CHARLES ROE KNOWS SOUTHERN CALIFORNIA LUXURY & COASTAL REAL ESTATE! As a 30 year coastal Southern California resident, Charles has a passion for real estate, architecture, and design. He has been a licensed CA Realtor for the past 15 years and specializes in representing buyers and sellers of So Cal Luxury,Coastal and Resort properties from beach cottages to country club and ocean front estates. Charles spearheaded the U.S. Western expansion of a Fortune 500 Electronics Retailer that produced over $1 Billion in annual sales in it's fourth year of operation. He later established, co-owned, and operated a private wireless communications firm that grew to over 90 locations in four states. He has designed and executed marketing plans for some of the Nation's best known companies and recognizes the importance of product knowledge, urgency, client communication, and targeted strategic marketing. He interacts with his clients in a partnership of mutual understood goals and objectives with the belief that putting the client's needs and desires first is the best policy.